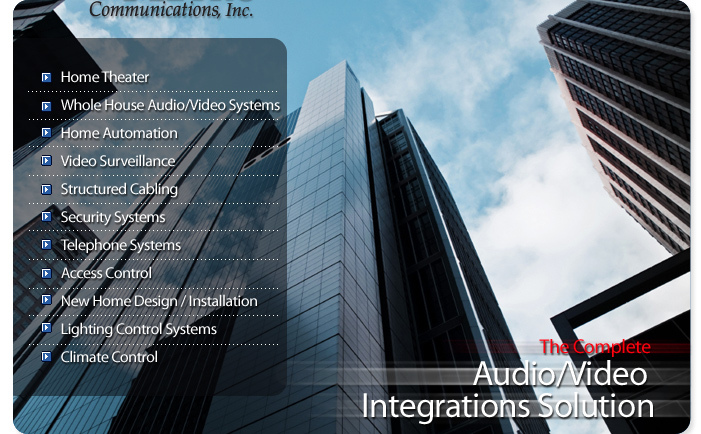 The management, technicians and engineers at Vast Metro Communications, Inc. are committed to providing the highest level of service and quality to meet today's technology-driven demand for cost-effective, innovative audio/video, home automation, communications, lighting control and security solutions. Our staff is continually trained in current as well as emerging technologies, so that we can continue to provide exceptional service to our clients. Our exemplary service and client satisfaction are what sets our company apart from the competition. Mission Statement: We are dedicated to excellence and have built upon a foundation of strong work ethic, communication, and responsiveness, to forge new client relationships that last. We promise to deliver every project to our client's satisfaction with proven results. We are Expert Custom Low Voltage Systems Integrators. Our clients include a variety of residential and commercial entities including new home builders, property owners, facility managers and governmental agencies. Vast Metro Communications, (631) 331 – 6300, fax (631) 331 – 6362, info@vastmetro.com | Base Content Copyright © 2019 Market Hardware, Inc. | Additional text content Copyright © 2019, Vast Metro Communications Inc.